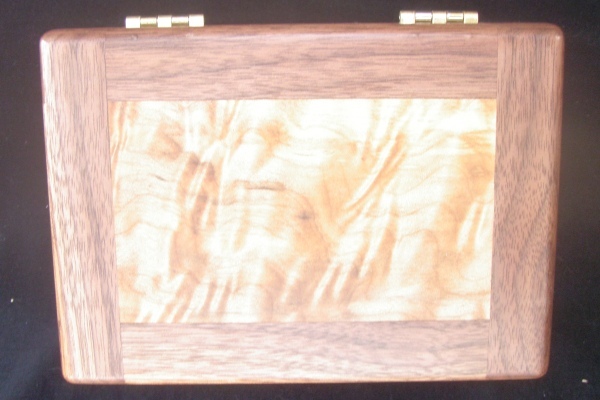 This box is made from Walnut and curly Western Maple. The dimensions are approx. 6 1/2"x4 1/2 "x4" tall overall. 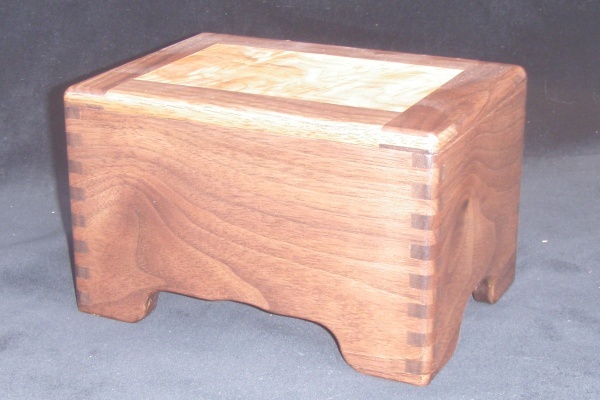 It is finished inside and out with multiple coats of drying oil; wet sanded on the outside. The outside was then given multiple coats of wipe-on poly and the whole thing buffed out with Canuba wax.